Its been a great season! Thank you to all that support our club! We had a great turnout for our Event!! We are so fortunate to have so many local businesses and individuals that donate items to be used as prizes. They hope everyone has a great summer! Our Club House is located on Route 2 (116 Presidential Highway) Jefferson, NH also accessible from Corridor 5 Trail. The trails map will be available for sale at the Old Corner Store, the club house, and other locations in town. WMSC would like to Thank all the volunteers that help repair the Olsen's Bridge. Online membership is now available. Our club will continue to offer Individual and Family memberships at our current rates. You can print off an application on our website and mail it to us for processing. 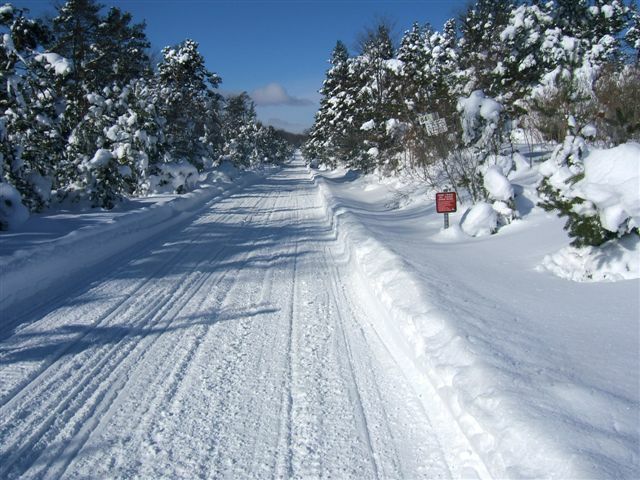 The Waumbek Methna Snowmobile Club extends our sincere appreciation to landowners for their generosity in sharing their land with snowmobilers and other outdoor winter enthusiasts. A great group of volunteers arrived on Sunday November 9th 2014 to help in building our new wood shed for the warming hut. We also replaced the black stove pipe for the wood stove and the hut was cleaned in anticipation of the upcoming snowmobile season. It was also stocked with wood ! WMSC would like to thank each of you for your help. Looks great! Our club was founded in 1979 and has grown from the half-dozen families that made up the core group back then to the 250 families that belong today. Many changes have occurred over the last 35 years, not only with the sport of snowmobiling, but within the club. Grooming equipment has evolved from a converted sidewalk plow to the machines you see on the trails today. Meeting locations have moved from private homes to restaurants and meeting halls, to the present clubhouse. But throughout the purpose of the club has never changed, which is to promote the sport of snowmobiling and make it a safe and enjoyable sport for the entire family.